Hot on the tail of the brilliantly successful (and important) Star Sailors League comes another zinger of a concept – the Nations Gold Cup. The idea for the SSL Nations Gold Cup is one of those ideas that once you have it explained, you wonder why it hasn’t already happened. It’s a keelboat regatta in identical one-designs, with a strict nationality rule. The plan is for a maximum of 40 national teams to contest the first ever SSL Nations Gold Cup at a European venue in 2021. Since the concept was announced in November, the SSL phones have been ringing hot with applications and enquiries from around the world. The SSL stands for Star Sailors League, and the Nations Gold Cup is the latest and grandest vision yet from the people who have delivered the successful Star Sailors League competition over the past five years. 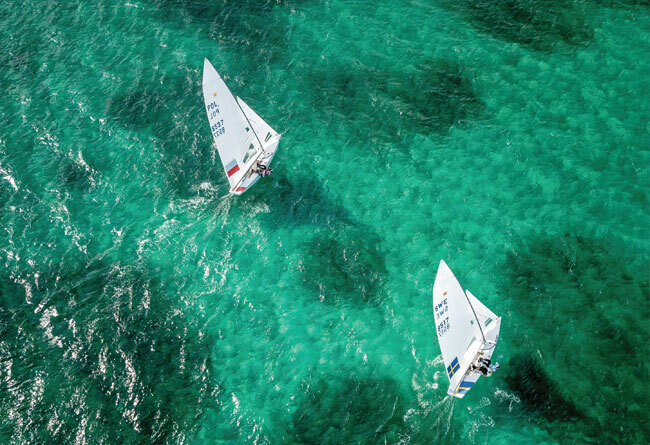 You may well have seen the live online coverage of the world’s greatest skippers going up against each other in Star class keelboats in the azure blue waters and sunny skies of the Bahamas. The “Star” in SSL stands not for the Star boat, by the way, but for the stars of our sport: the sailors. Main picture: the stars in the Star Sailors League are the sailors, not the boats (although the eponymous keelboats are indeed used in the series). Broadcast live online, the SSL pits the world’s great sailors against each other in the glorious blue waters of the Bahamas. For the first edition of the brand new SSL Nations Gold Cup, however, the organisers plan to use a European venue and a bigger boat. 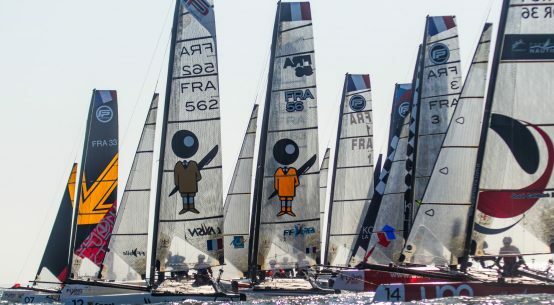 Set to take place every other year from 2021 onwards, the competition will be open to all 140 countries whose national federations are recognised by World Sailing. 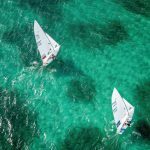 The final phase of the SSL Nations Gold Cup will host a maximum of 40 teams, with a specific rule to ensure the presence of some of the “emerging sailing nations”. Borrowing from the tried-and-tested format used in major tennis and football tournaments, after the round-robin phase the top 16 teams will proceed to a thrilling knock-out phase. All scores up to that point will be wiped clean, so it will be a simple battle to qualify through to the next round. This format has already been well tested and widely enjoyed by some of the best sailors in the world at the SSL Finals in Nassau, every December since 2013. The most thrilling finale to date was Paul Goodison’s onesecond victory over Robert Scheidt in December 2017. The Star Sailors League will provide the boats for all participating teams. Currently in the design phase, the plan is for a powerful keelboat with a bowsprit and an overall length of around 45-47ft. A biennial event starting in 2021, the Nations Gold Cup will use the same nationality principle as the Olympic Games to enable teams to represent their country in closely matched international competition. Poland’s 1996 Olympic Finn class champion, Mateusz Kuznierewicz (number 2 in the photo below) is one of the chief architects of the concept. A powerful new 14-metre keelboat will be designed and purposebuilt as a dedicated one design fleet for the Cup to ensure an interesting modern boat and a level playing field for all of the competitors. The Star Sailors League has a new headquarters located on the shores of a beautiful lake in Switzerland. The headquarters consists of a comfortable manor house, a private harbour and a boat park. This venue will offer training sessions to every team set to take part in the SSL Nations Gold Cup. Each team will be allocated a limited number of training days per year, with more training days permitted to emerging nations. Besides sailing skills development, each team will have access to help and support for developing their own sponsorship and promotional programme. The first three-day training sessions and workshop sessions are already scheduled and will take place in the spring of 2019. In March 2019 the first national teams will be introduced and their captains presented. ‘When I started sailing, the true legends – Straulino, Elvstrøm, North, Buchan, Melges, De Cardnas, Knowles – were the motivating examples that pushed me to progress and guided my way. I think that Schümann, Grael, Coutts, Ainslie and Cayard were also inspired by Olympic heroes to themselves become legends. Contemporary youth has the same desire as us; it seeks the heroes who will be their role models and who will give meaning to their daily lives. And rightly, the SSL Nations Gold Cup offers a media platform that will allow youth and also sports fans to discover Scheidt, Scott, Percy, Goodison, Fantela – our contemporary heroes. The SSL Ranking serves as a unified classification of all sailors who compete in the most popular regattas worldwide. It is calculated using a mathematical rule which takes into account the sporting results of each competitor over a two-year period. Higher profile and more competitive international regattas count more highly than smaller regional regattas. Robert Scheidt, five times an Olympic medallist, has been involved since the start of the Star Sailors League. ‘In 2013, with Bruno Prada, we helped to design and then participated in the first competition according to the SSL format, the first SSL Finals,’ he explains. ‘This tennisinspired elimination system, which aims to crown the champion after a single final, is immensely exciting. We chose the format, but it turned out to be incredibly demanding. ‘That year with Bruno, even after winning the qualifying, we had to fight every moment to stay alive in the quarters, then in the semifinals. In the one-heat final, the leader changed four times and we were so relieved once we’d crossed the finish line. We had won, but we had also found a new exciting racing concept for the public and the athletes, without changing the spirit and tradition of the sport. 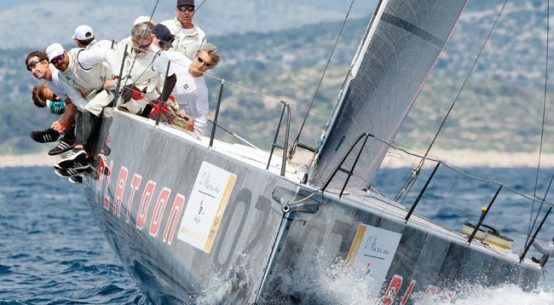 Click here for more information on the Star Sailors League.